Maybe the last thing that sounds Puritalia to a car firm . However, it is a small constructor that is based in Turin (Italy). Its history began in 2012 and has the name Puritalia Automobili . The reason for it to be so unknown is that its models are very limited and all are made by hand. However, at the Geneva Motor Show , he has presented a new model. 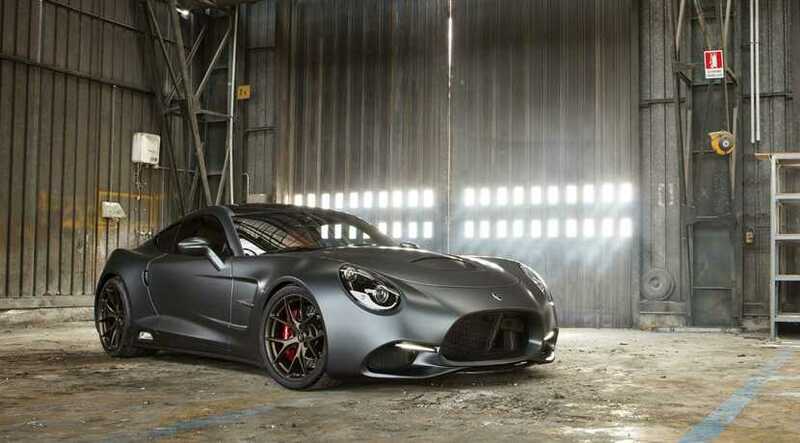 The Puritalia Berlinetta ​​strong> is the latest creation of this firm. This model, which a priori may seem spartan, is equipped with the latest technology. Thus, it has a hybrid plug-in powertrain or even artificial intelligence . In addition, its degree of completion and equipment possibilities are sublime, since it offers its owners multiple personalization possibilities. 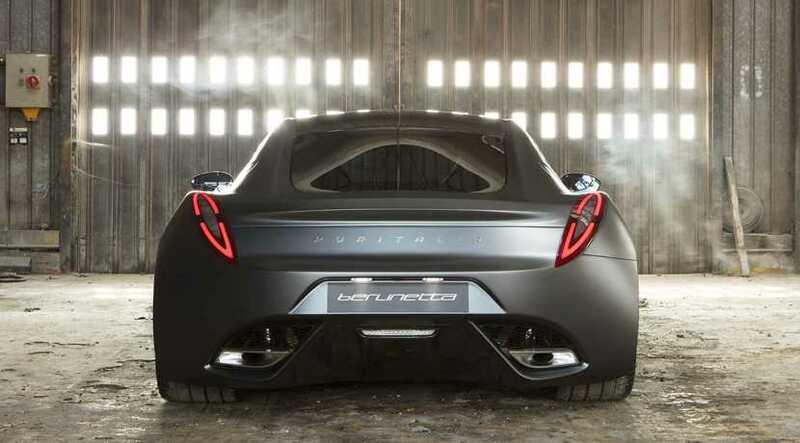 The design of the Puritalia Berlinetta ​​strong> is original, although it depends on where you look, You can remember some other model. Thus, on the front we find some optical groups that seem to be inspired by those of the Alfa Romeo 8C Competizione . The grill is very generous and the bumper has huge air intakes. All this is adorned by the daytime driving light, located in the upper area of ​​the nozzles. If we pass the lateral view, we have a hood Very long, some marked wheel arches and some side air intakes. The fall of the roof is pronounced, in clear contrast with the verticality of the windshield. Here, we can see that it resembles the lines worn by the Porsche 911 over the past few years. The alloy wheels , show a large brake equipment and clips finished in red. Finally, we should review your behind . Although the optical groups are one hundred percent original, they remind those used by the Lancia Ypsilon or some Jaguar of the past. The lunette has a stretched design and a fair size. Here, we can see a discrete appendix, which simulates a spoiler , although it is not so extreme. In the lower area, the bumper has simple and fluid lines that connect with the rear wheel arches. The interior of the Puritania Berlinetta can be defined with two words: luxury and technology . Practically all the interior is dressed by high quality leather. The aluminum inserts are not missing either, like those around the central touch screen . This, as it happens in the Tesla, is placed in vertical position, and integrates (to our regret) the controls for the air conditioning. The instrument panel also uses a 12.3 inch screen . Before him, we found a steering wheel that combines leather and aluminum in equal parts. However, where the Berlinetta stands out the most is in the artificial intelligence system .Thus, the platform is made of aluminum and carbon fiber . Above it, they have placed the body panels, which have the only supporting material in the fiber. Thanks to this, and to a light motor scheme, you get a final weight on a scale of only 1.4 tons . 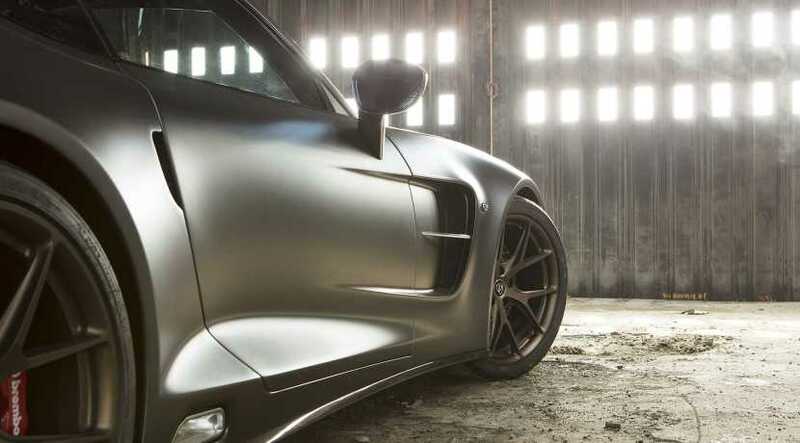 However, it measures 4.50 meters long , a wheelbase of 2.71 meters and a perfect weight distribution, 50:50. To develop the > braking system have had the collaboration of specialist Brembo . The discs, in both axes, are 380 millimeters and are made of steel (optionally there are carbocerámicos). To improve their performance they are ventilated and perforated. The previous clamps have six pistons and the posterior ones with four. Thanks to this, they offer a first level performance. Last but not least, we must talk about its motor scheme. To move, the Puritania Berlinetta relies on a plug-in hybrid engine called Purhydrive . It combines a V8 5.0-liter petrol engine located under the front hood, and an electric motor located on the rear axle. The thermal block yields a power of 750 HP and a maximum torque of 878 Nm. The electric, has been developed by Yagasa and delivers 215 HP and 370 Nm of maximum torque. The autonomy in electric mode is 20 kilometers and it takes about three hours to charge its batteries. The combination of both souls is 965 CV and 1,248 Nm maximum torque. This potential is managed through a manual box piloted with seven gears and robotic clutch. In addition to powering the electric motor, there are batteries (under the floor of the trunk) of 5.2 kWh of lithium phosphate that deliver 700 volts. All in all, the benefits of the Berlinetta are infarct. Accelerate from 0 to 100 kilometers in 2.7 seconds and mark a point of 335 kilometers per hour. When and how many Puritania Berlinetta will there be? in the market? 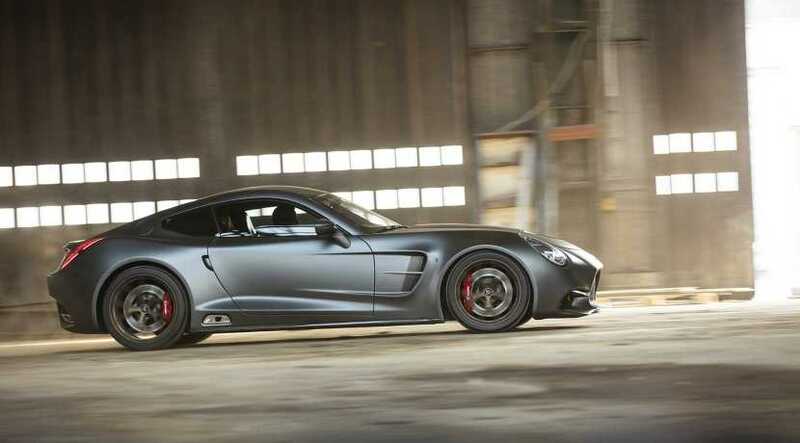 Production The Berlinetta is limited to 150 units which already have an owner. The price that Puritania asks for one of them is 553.350 euros , a figure contained for the exotic of the product. In any case, if you wanted one, first, you're late and second, the brand wants "good people" not rich without manners.